Our knowledge of construction and renovation and our passion for the aesthetics allows us to offer our customers the best quality products and services on the market. 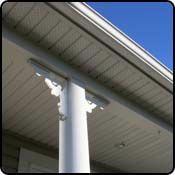 Vinyl siding is attractive, durable and easy to maintain. New trim options, more styles and a full spectrum of colours help architects, builders and homeowners achieve ideal exterior style for any type of home in any neighbourhood. HardiePlank® siding can be installed on all exterior walls of most homes. Unlike vinyl siding, HardiePlank® siding needs to be painted. However, unlike wood, HardiePlank® siding absorbs paint in a sustainable way. HardiePlank® siding is coated in a good, protective paint that will likely never peel or chip. While the appearance can be as lovely as wood, you save yourself the worry about problems such as water damage. 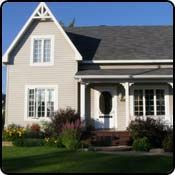 All of the exterior walls of most homes can be covered with HardiePlank® siding. It provides you with a lifetime of protection for your investment as well as peace of mind for as long as you own your home. Produced in modern, long-lasting materials, this product enhances your home as well as reducing the need for costly painting and maintenance. 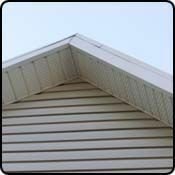 Fascia is the forward facing strip that edges and protects the joint between the roof and the walls. Our fascia gutter covers the whole surface of your home’s fascia board, keeping it from getting rusty, which protects your home and adds aesthetic value.